What you want, baby we got it ! 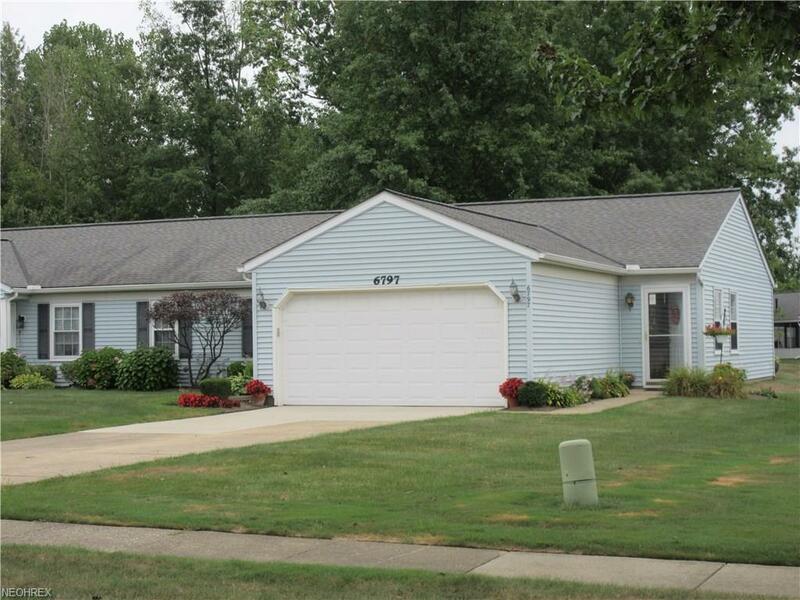 Ranch condo, close to the freeway, Mentor, 3 bedrooms, 2 full baths... This condo has a great setting with a wooded view on the patio. Come through the garage and you will notice a removable ramp, great for getting in or out and great for a wheel chair. 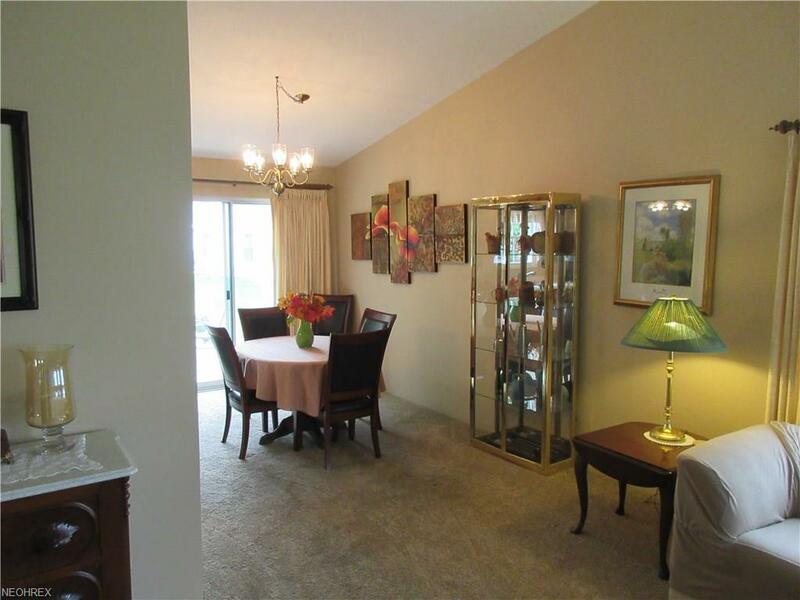 The living room has newer carpeting and a vaulted ceiling, this room opens to the dining area with patio access. These rooms are in a neutral warm color. 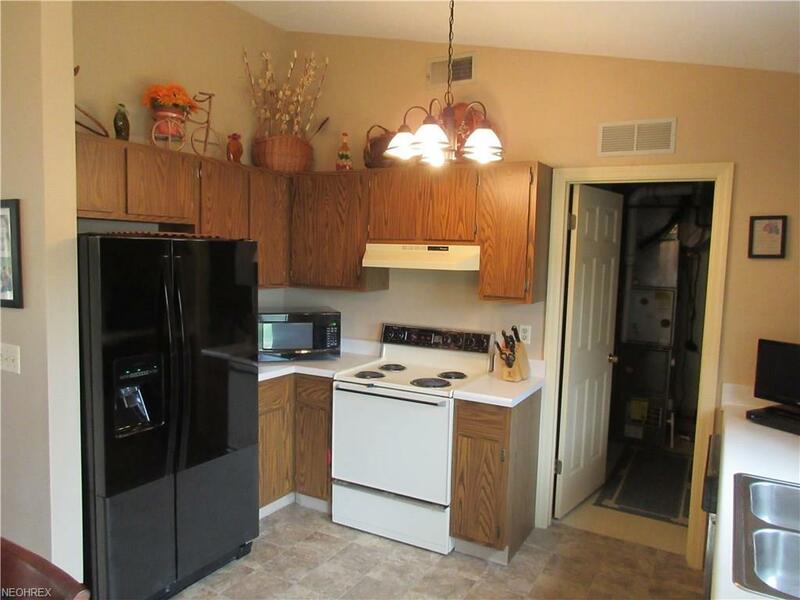 The kitchen has a newer refrigerator and a newer floor. 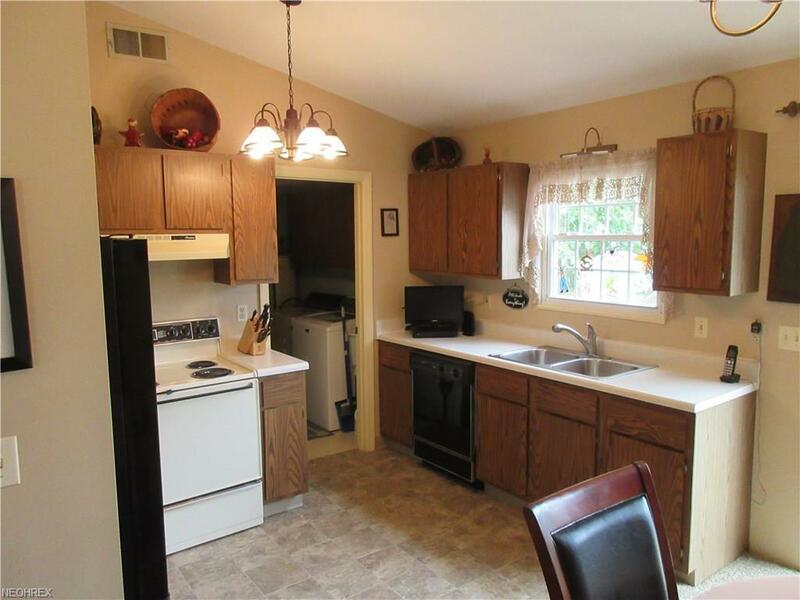 Off of the kitchen is the laundry room which includes the newer washer and a dryer. Three nice sized bedroom, 2 full baths with handicapped grab bars. This unit will accommodate most wheel chars and walkers if needed. This unit is within walking distance to the city water park. Great community close to everything. The beauty of these units are that they are all duplexes with large yards. Maintained well by a top notch maintenance company. All appliances stay. Includes a 1 year home warranty.